What is it about a Hawaiian aloha shirt that's just plain fun? 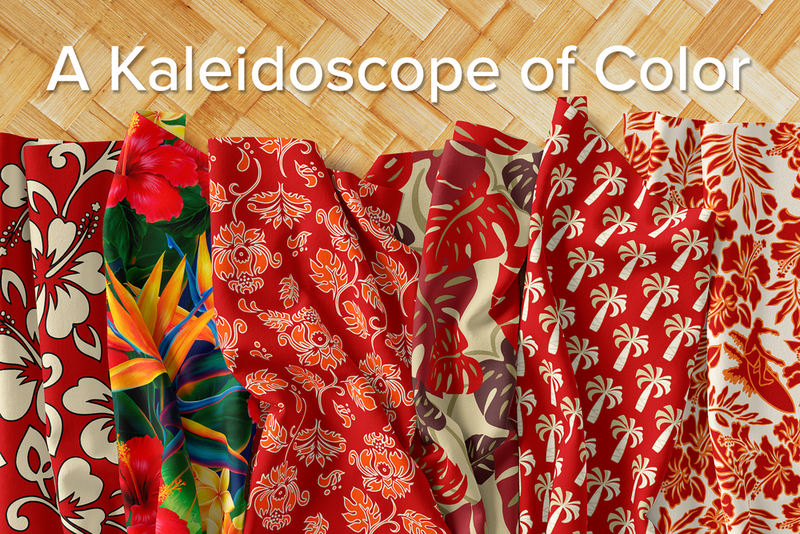 Our colorful array of Hawaiian print fabrics are part of our secret plot to make you happy. Shop our Hawaiian fabrics for a rainbow of tropical colors and patterns: island flowers, tikis, aloha shirt and tapa prints, and more. Shop for our textile designs in any of our 22 different fabric base cloths on our Spoonflower fabric store. For more information on our different fabrics, click here. To explore our huge array of patterns, collections, and colors, click the images below. Want to share the Aloha Spirit with someone you love? Our adorable Aloha Honeys and Surfing Bunnies doll sewing kits are the perfect gift. These easy to sew dolls and stuffed animal kits will teach kids a skill that can entertain them for a lifetime, all with a special Hawaiian touch. Our Aloha Honeys and Hawaiian Surfing Bunnies are as fun to make as they are to own. Soft, cuddly and hopelessly adorable, they're a perfect addition to your home. To get yours, click on either of the photos below. Available in seven different base cloths, these cut and sewn doll patterns were created for the fat quarter length of fabric. Each doll is 14” tall when finished, and includes sewing instructions printed right on the pattern. We recommend the Eco Canvas fabric for the most vibrant colors, the Lightweight Cotton Twill fabric for a soft cuddly doll, and the Linen Cotton Canvas Ultra fabric for a vintage collectable doll. To see our entire collection of doll and stuffed animal kits, click here.